As promised, here’s an update detailing my upcoming performance plans, as well as another show danced by many of my peers that is worth checking out this weekend. Keep reading to find out more about these two student showcases, both featuring Columbia University and Barnard College students. Now it it’s sixth year, the Columbia Ballet Collaborative is a student-run and directed ballet company comprised of students from Columbia University’s undergraduate colleges and professional schools and programs, including many former professional dancers who have since returned to academia. Twice each year, CBC commissions and presents new works by emerging and established New York-based choreographers as part of its mission to enrich the Columbia University community’s artistic culture while also serving as a means for Columbia dancers to connect with the New York dance community at large. This Friday and Saturday at 8:00pm, CBC will present its Fall 2013 program at Manhattan Movement and Arts Center, featuring new works by Devin Alberda (corps de ballet member of New York City Ballet), Richard Isaac (former member of Tulsa Ballet and Kansas City Ballet and current Columbia student), Ja’Malik (named a “Choreographer to Watch” by Roslyn Sulcas of the New York Times), Dan Pahl (Columbia student), Donna Salgado (artistic director of CONTINUUM Dance Company), and Claudia Schreier (2008 recipient of the Suzanne Farrell Dance Prize). To learn more about CBC, visit www.columbiaballetcollaborative.com, or become a fan on Facebook. For tickets to this season’s shows at MMAC, click here. Now it it’s ninth season, The Barnard Project at New York Live Arts, or just “NYLA,” as it is so fondly referred to by Barnard and Columbia dancers, has become the Barnard Dance Department’s fall tradition. Each fall semester, the Barnard Dance Dept. commissions four choreographers to either set acclaimed works or create new works on the school’s dancers, to be performed at this Chelsea hot spot for new and progressive dance works. As an alum of The Barnard Project, my experience has been overwhelmingly positive. I’ve performed works by Susan Rethorst and Beth Gill under the Barnard Project umbrella, and I think almost every Barnard and Columbia dancer would agree that their college dance experience has benefited from working with these hand-picked choreographers (the list of accomplishments includes Guggenheim Fellows, a MacArthur “genius,” and Bessie winners, to name a few). But besides connecting students with established choreographers, perhaps the most admirable aspect of The Barnard Project is in the way in which it endeavors to overturn the typical conception of “student work” as second-rate by consistently challenging its dancers to work beyond their traditional training and, through an intense rehearsal process, develop into versatile artists who might one day have a NYLA season of their own. 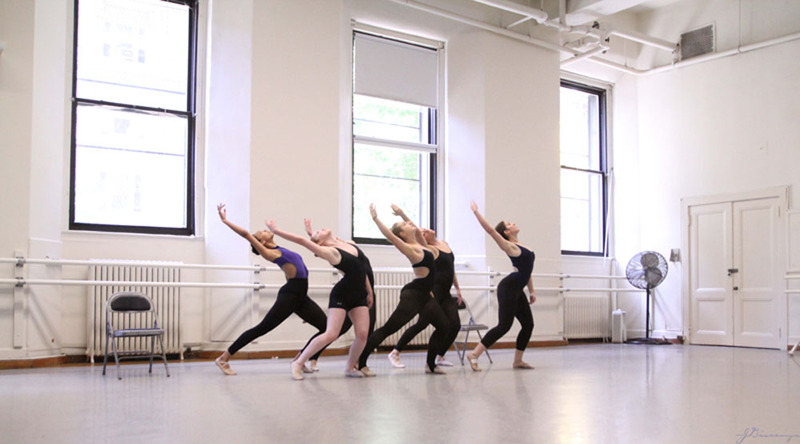 Click here to learn more about the Barnard College Dance Department.